It’s no secret that some of highest paid jobs come from the sports industry. Athletes can make millions of dollars for each season they play, and that’s not even including other income sources like endorsement deals. Basketball and the NBA are no exceptions. 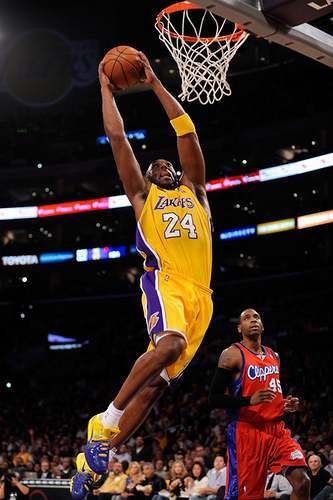 Kobe Bryant plays shooting guard for the Los Angeles Lakers. He was drafted by the Charlotte Hornets straight out of high school and immediately traded to the Lakers in 1996. In his past 16 seasons in the NBA he has won the championship five times, led the league in scoring twice, and made 14 all-star teams. 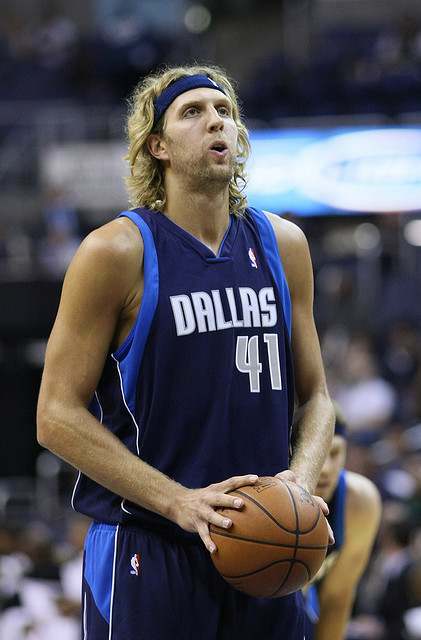 Dirk Nowitzki plays power forward for the Dallas Mavericks. He joined the NBA in 1998 after playing in a professional league in Germany, where he is from. He is the highest paid foreign player in the NBA. When the Mavericks won the championship in 2011, Nowitzki was named MVP of the finals. He was league MVP in 2007, and is an 11 time all-star. 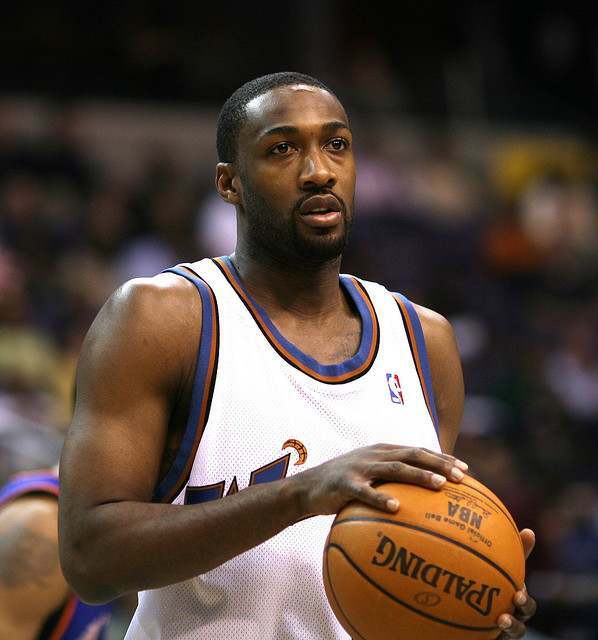 Gilbert Arenas last played for the Memphis Grizzlies and is currently a free agent. He has played for several teams throughout his NBA career, which began when he was drafted in 2001. During his second year in the NBA he was named Most Improved Player, and he has made three all-star teams. Most of his career has been spent with the Washington Wizards. 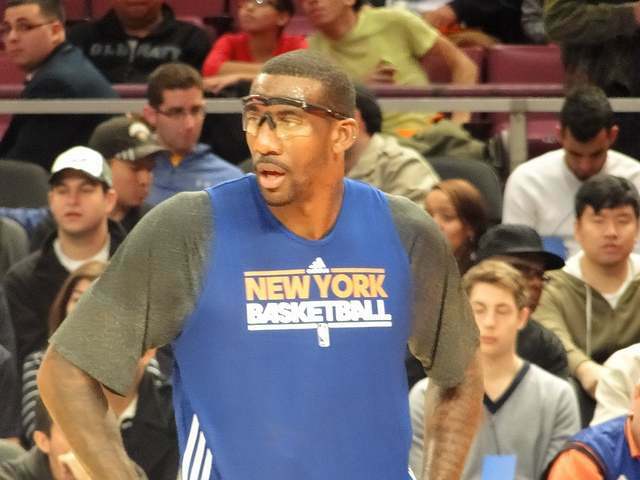 Amar’e Stoudemire is a power forward and center for the New York Knicks. He was drafted in 2002 and spent the first 8 seasons of his career with the Phoenix Suns. Stoudemire then became a free agent before signing with the Knicks. His contract with the Knicks is estimated to be about $99.7 million over 5 years. Stoudemire was named Rookie of the Year, and has been on 6 all-star teams despite previous injuries. 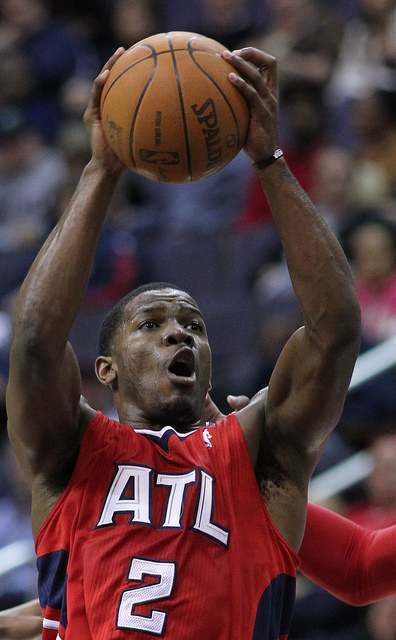 Joe Johnson was drafted in 2001 by the Boston Celtics and has spent time with the Celtics, the Phoenix Suns, and the Atlanta Hawks. He will play next season for the Brooklyn Nets. He has made 6 all-star teams. In 2010 Johnson signed a 6 year, $119 million contract with the Hawks which made him one of the top paid players in the league. 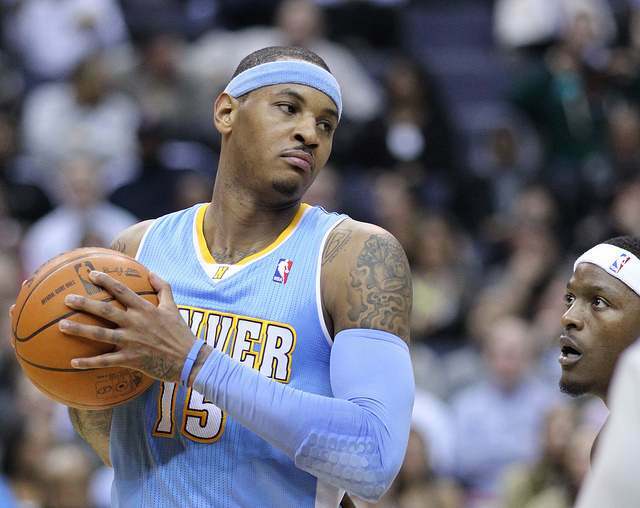 Carmelo Anthony plays small forward for the New York Knicks. He spent most of his career with Denver, after being drafted in 2003. Anthony was traded to the Knicks in 2011. He has made 5 all-star teams and has spent time playing with the U.S. national team along with many of the other top NBA players. 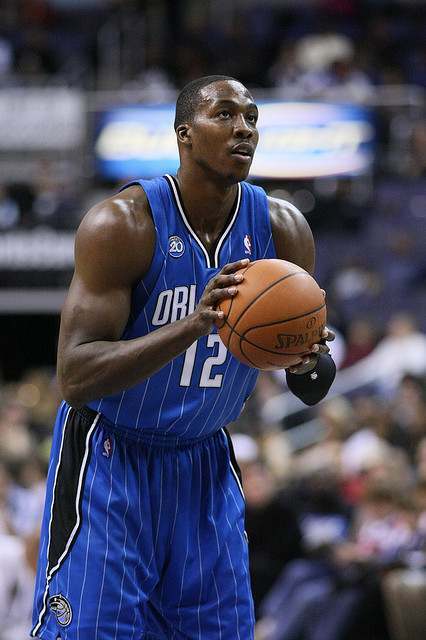 Dwight Howard is a center/power forward who has spent the entirety of his career (until now) playing for the Orlando Magic. Next season he will join Kobe Bryant and the Los Angeles Lakers. 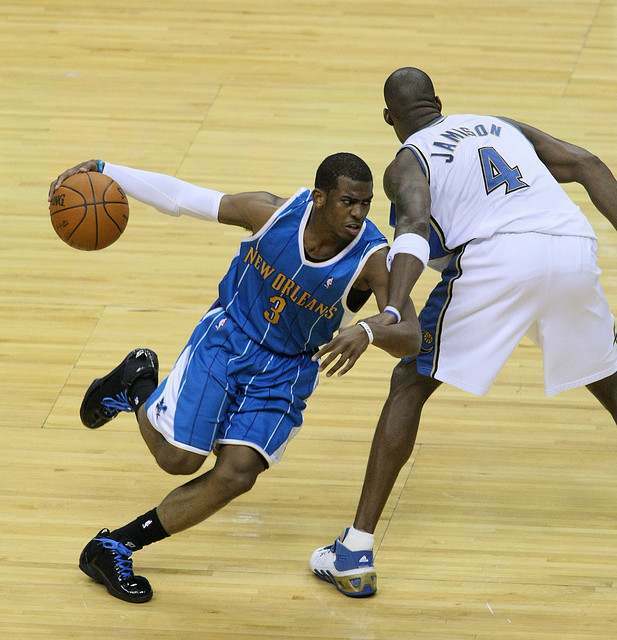 Howard was drafted by the Magic in 2004. He is known for his excellent defense, being named Defensive Player of the Year 3 times and playing on 6 all-star teams. Chris Paul plays point guard for the Los Angeles Clippers. He is also an excellent bowler and a spokesperson for the United States Bowling Congress. He was drafted 4th overall by the New Orleans Hornets in 2005. He was named Rookie of the Year during his first season, and he has made the all-star team in 5 seasons. He spent 6 years with the Hornets before being traded to the Clippers (before the start of the 2011 season). 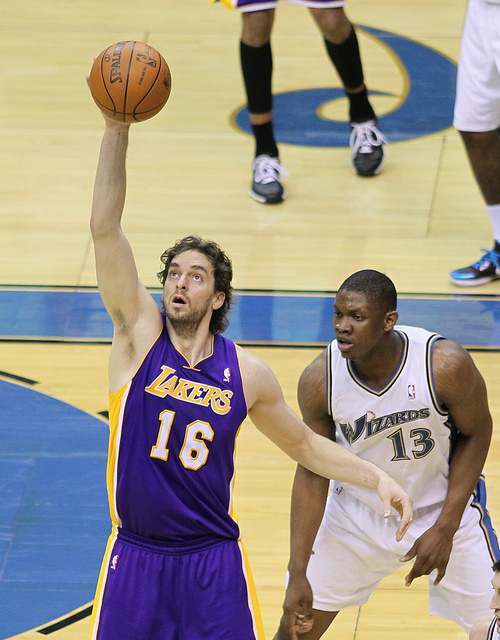 Pau Gasol is the only other foreign player to make the list of top paid NBA players. He plays power forward and center for the Los Angeles Lakers. Gasol is from Spain, and before joining the NBA he played for Barcelona (which won the Spanish National Cup championship in 2001). He entered the 2001 NBA draft where he was selected by the Memphis Grizzlies. He’s played for the Lakers for the last 5 seasons, winning 2 championships with L.A., and he was named Rookie of the Year in 2002. 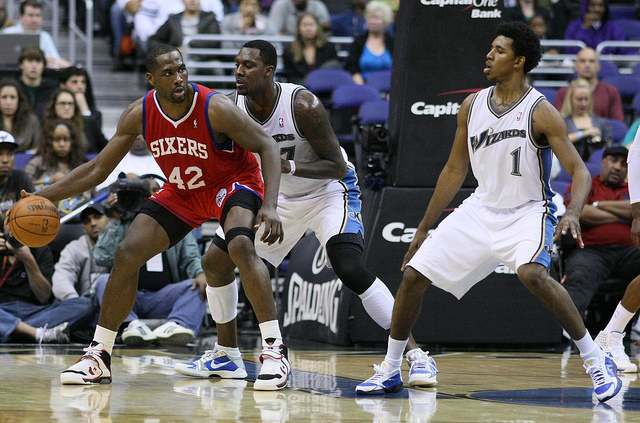 Elton Brand is a power forward who has played for several teams in the NBA. He was drafted by the Chicago Bulls in 1999 and was named Rookie of the Year. He then played for the Los Angeles Clippers and the Philadelphia 76ers. He is a two-time NBA all-star and he was given the NBA Sportsmanship Award in 2006. Like many other professional athletes, some NBA players get huge salaries. What do you think of these high salaries? Were you surprised by any of the players who made the list (or any omissions)? Share your thoughts in the comments below.